left-hand side window demister vent. right-hand side window demister outlet. 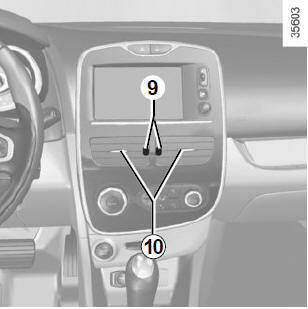 Move the control knob 9 (beyond the resistance point). Move cursors 10 to the required position. 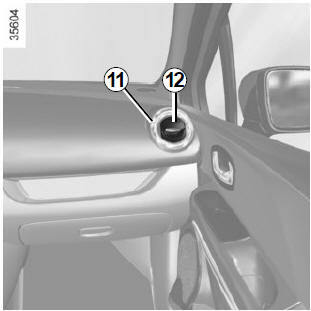 To open air vent 11, press on the air vent (point 12) until it is open as far as required. To direct the air flow, swivel side air vent 11. To remove bad odours from your vehicles, only use the systems designed for this purpose. Consult an approved Dealer. 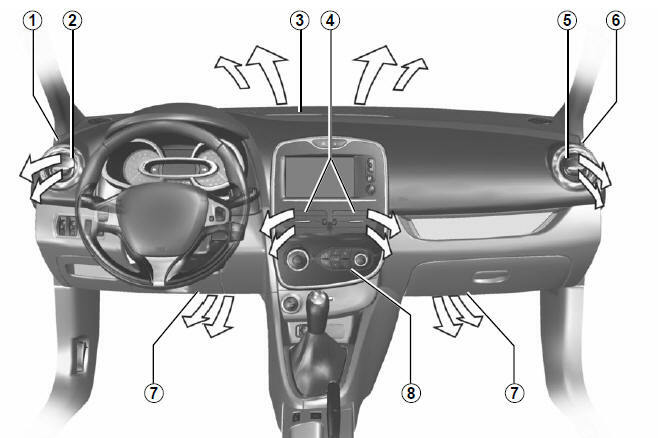 Do not add anything to the vehicle’s ventilation circuit (for example, to remove bad odours). There is a risk of damage or of fire.